Should children be physically punished? On Sunday, May 20, the Maryland Department of Transportation State Highway Administration (MDOT SHA) will perform routine maintenance to the Governor Thomas Johnson Memorial Bridge at the Calvert/St. Mary's County border. Crews will be clearing bridge drains between 6 a.m. and 2 p.m. Drivers will be guided through the work zone using a flagging operation. Motorists should plan extra travel time Sunday morning. While MDOT SHA and its transportation partners work hard to maintain safe traffic mobility in work zones, each driver needs to actively modify his or her driving style to help prevent crashes. Stay alert and look for reduced speed limits, narrow driving lanes and highway workers. Slow down and don't follow too closely. Work Zone Safety is in Your Hands. For a list of all major MDOT SHA projects, click on Road Ready, MDOT SHA's electronic construction brochure. For a look at real-time commute conditions, log onto www.md511.org. The St. Mary's County Department of Public Works & Transportation and the Airport Advisory Committee ask all business establishments in the vicinity of the St. Mary's County Regional Airport to ensure all solid waste is properly disposed, especially food waste. Dumpster tops should remain closed at all times. It is also requested the grounds around dumpster areas be kept free of loose debris. Open dumpsters attract turkey vultures, which pose a serious hazard to pilots during takeoffs and landings. Open dumpsters and loose debris also create favorable conditions for roosting. For more information about Wildlife Hazard Management and the St. Mary's County Regional Airport, please contact the Department of Public Works and Transportation at 301-475-4200, ext. *3565. Just in time for the upcoming summer season construction of a new playground at Fifth District Park in Mechanicsville has been completed and is open to the public. Work on the project occurred between April 9 and 23. The playground includes fun and challenging play areas for children ages 2–5 and 5–12. It is fully ADA accessible and includes rubber surfacing for safety. The project was funded by the Commissioners of St. Mary's County and Maryland's Program Open Space. A public ribbon cutting ceremony to formally open the playground is scheduled for June 5. "We sincerely hope that the public will enjoy this new addition at the heavily used Fifth District Park," said Arthur Shepherd, Recreation and Parks Director. "This is another great example of the county's continued partnership with Maryland's Program Open space to provide necessary recreational facilities for our citizens." For more information regarding this or any other county park project, contact David Guyther, Parks Manager, at 301-475-4200, ext. *3570 or log on to the county's website at www.stmarysmd.com. The Great Mills Swimming Pool will close for seasonal maintenance beginning Monday, May 14 through Friday, May 25. During this time, the pool's air supported dome structure will be removed, converting the pool to an outdoor facility. Other seasonal maintenance and staff training will also take place while the pool is closed. 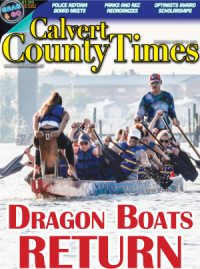 • Monday–Saturday 8 a.m.–8 p.m.
St. Mary's County Recreation and Parks will host its annual invitational track meet on Sunday, June 3, at Leonardtown High School, 23995 Point Lookout Road, Leonardtown, MD. The meet runs from 1—4 p.m. Registration will be open from noon—1 p.m. This fun event is for youth, ages 8 to 14 years, as of December 31, 2018. Participants can enter two track and one field events OR two field and one track events. Spikes are not allowed. Every competitor will receive a ribbon. There is no cost to participate in this event. EVENTS: 100 Meter Dash , 200 Meter Dash, 400 Meter Dash 800 Meter Run, Mile Run, Long Jump, and Softball Throw. Save time and complete a registration form prior to the event by clicking the link below. For additional information regarding this event, please contact Kenny Sothoron, at 301-475-4200 ext. *1830. The St. Mary's County Museum Division will celebrate the 13th annual St. Clement's Island Heritage Day. The event will take place on Saturday, June 2, from 10 a.m.—3 p.m., at the St. Clement's Island Museum. The public is invited to enjoy free boat rides to St. Clement's Island State Park to experience a day of history, wildlife and art. Many of the day's exhibits and activities will occur on the Island itself. Decoy carver, Tom Deagle, will give carving demonstrations. An exhibit of his work will be open for viewing inside the museum. Historic St. Mary's City will present the Native American Woodland Indians with a hands-on exhibit. Re-enactor Mike Barbour will portray colonial land owner Dr. Thomas Gerard. Friends of the Newtowne Manor House will be on hand to discuss the restoration of Newtown Manor House across the water. St. Clement's Hundred volunteers will host tours of the reconstructed Blackistone Lighthouse. The Members of the St. Mary's County Master Gardeners Bay Wise program and the Watershed Restoration Program will show visitors how they can help keep the Chesapeake Bay healthy with gardening techniques and watershed activities. There will also be an area for traditional games, craft making and free watermelon for visitors to enjoy. Local guitarist, Joe Norris, will provide musical entertainment from 12—2 p.m.
On the mainland, the National Park Service's Chesapeake Roving Ranger van will be on the museum grounds to talk about benefits of local wildlife. Guests can bring a picnic lunch to enjoy as well as a camera, binoculars and plenty of water. Visitors should wear comfortable walking shoes, sun screen, and bug spray. The St. Clement's Island Museum is located at 38370 Point Breeze Rd. in Colton's Point, MD. The museum and grounds are handicap accessible but the water taxi and island are not. The last boat ride to the island will depart from the museum pier at 2 p.m. The last boat back to the mainland from the island will return at 3 p.m. In the event of rain or high winds, boat service will be cancelled and exhibitors will be moved inside the museum. For more information please call the St. Mary's County Museum Division at 301-769-2222. 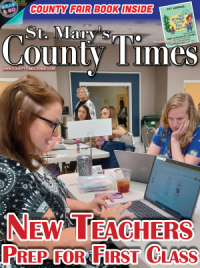 The St. Mary's County Health Department (SMCHD) and St. Mary's County Public Schools (SMCPS) will jointly host a presentation of key findings from the 2016 Youth Risk Behavior Survey (YRBS) for St. Mary's County, Maryland. This presentation and discussion is scheduled to take place on Monday, May 21, 2018 from 5:30 p.m. to 6:30 p.m. at the SMCPS Division of Supporting Services training room, located at 27190 Point Lookout Road in Loveville, behind Benjamin Banneker Elementary School. The YRBS is a national school-based survey conducted by the U.S. Centers for Disease Control and Prevention (CDC) in partnership with state and local education systems and public health agencies. This survey monitors health-risk behaviors of the nation's high school students, including those factors which contribute to the leading causes of death, disability, and social distress among youth and young adults. Monitored topics include mental health; tobacco, alcohol and other drug use; sexual behavior; violence and injury prevention; and nutrition and exercise. Participating students in the 2016 YRBS completed an anonymous self-administered questionnaire about their health behaviors. Survey procedures were designed to protect the privacy of students and adhered to local parental permission procedures. Data goes through months of review at the national level prior to being available for local jurisdictional use. "Aggregate YRBS data helps us monitor some of the most pressing health concerns affecting our youth," said Dr. Meenakshi Brewster, Health Officer for St. Mary's County. "This information then informs community-wide efforts to promote the health and safety of our young residents." Community members are encouraged to attend the upcoming presentation to review results from this survey and discuss local community action to address youth health. For more information on the YRBS, visit the CDC website at www.cdc.gov/healthyyouth/data/yrbs/ or the SMCHD website at www.smchd.org/data. We are committed to not just servicing your equipment, but also you the customer.